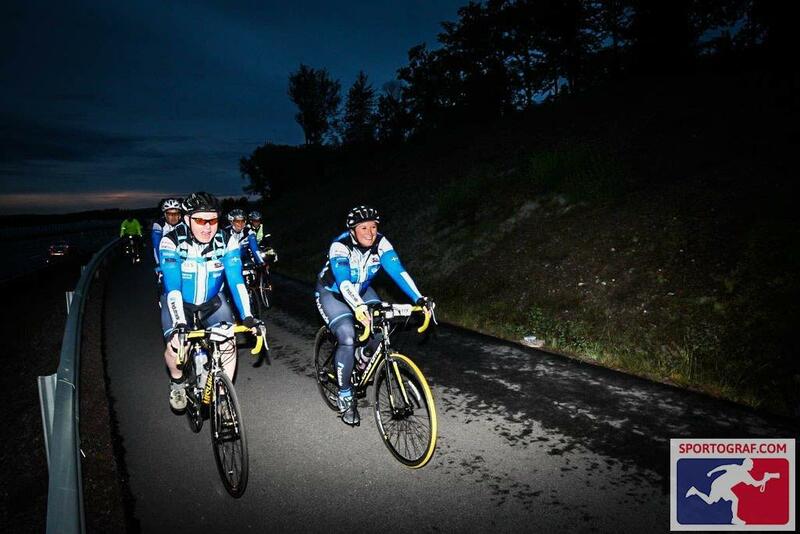 At 14:51 on Saturday 17th June, our Sales Manager, Andrew Lamb, pedalled over the finish line of Sweden’s largest cycling event after completing almost 16-hours of overnight riding in a bid to raise funds and awareness for Muscular Dystrophy UK. Andrew, took part in the world’s largest recreational bike ride, the Vätternrundan. This truly challenging experience takes 23,000 cyclists around the 300km circuit of Sweden’s Lake Vättern, testing participants to the furthest extremes of their physical and mental capabilities. This year’s race took place on Friday 16th and Saturday 17th June; starting and ending in the beautiful town of Motala. Andrew, inspired by the courage of a friend’s son, Peter Dent, who lives with Duchenne muscular dystrophy, the most severe form of the disease, decided to raise funds to help with research into this cruel and life-limiting condition. Duchenne is serious condition that causes muscles to weaken and waste over time, leading to increasingly severe disability. People living with the condition may struggle with the everyday actions others take for granted, from walking and climbing stairs, to blinking and smiling. For some, their heart and vital breathing muscles will weaken, cutting their lives short. There are about 2,500 boys and young men known to be living with the condition in the UK at any one time. No cure or effective treatment has yet been discovered, but there is promising research into the condition. Speaking of Andrew and his challenge Peter’s mother, Diane, was full of praise for his efforts and thankful for the continued donations to help find a cure for her son’s condition.